Beach bean, photographed at Bahia Honda State Park, Bahia Honda Key, Monroe County, in December 2013. 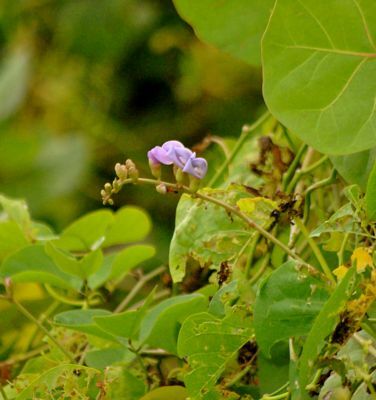 As the story goes, this is the plant that helped legendary English explorer James Cook circumnavigate the globe in 1770: the beach bean, Canavalia rosca. No, he didn't use it to put "wind" to his sails. 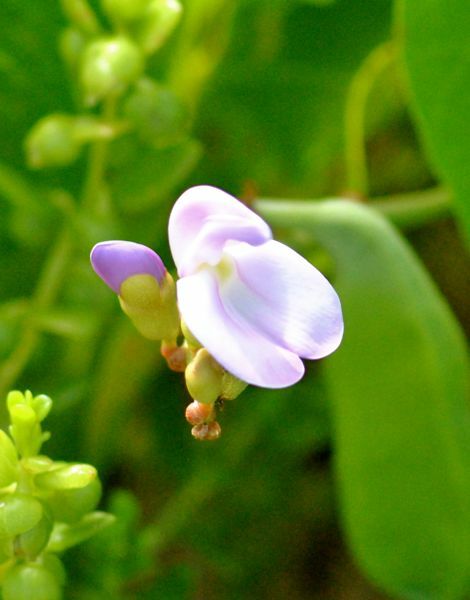 Rather, he used it to feed his crew..
Beach bean is one of those cosmopolitan coastal plants. 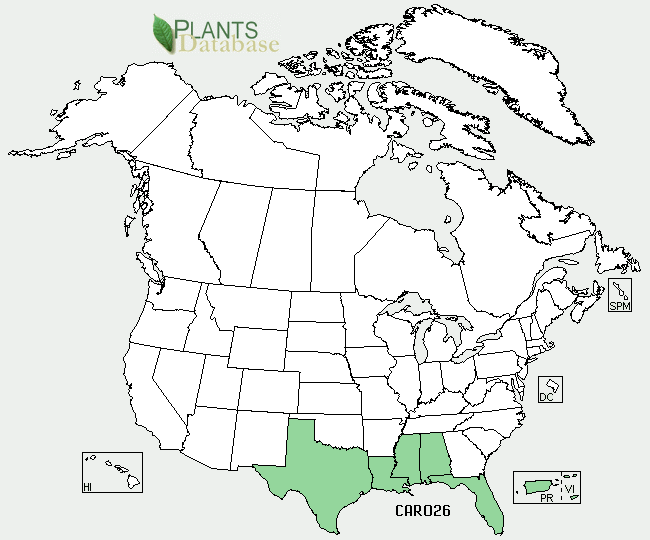 It's a Florida native, but it's also native to coastal areas in South America, Africa, Asia and Australia, plus islands throughout the Pacific. Sailors of Cook's time were well aware of the connection between diet and the health of ship's crew. During the voyage, Cook was nearly obsessed with finding foods to feed his men. Beach bean was among his experiments and in some ways, an ideal food. It's full of complex proteins and grow in many places. On the other hand, beach bean also contains cyanide and alkaloids, which, obviously, don't contribute to the health of a human being. The poisons can be eliminated if the beans are properly prepared. but that brings up another problem: taste. At best, beach bean is tolerable. Some tribes that Cook encountered in Australia ate it, while many others turned their noses at it. Cook, the first Englishman to eat beach beans, said they "were not to be despised," according to the Food History Almanac. On the other hand, according to the same source, Cook's naturalist, Joseph Banks, said they were "a kind of beans, very bad." Beach bean stands only six to 12 inches tall, but it sprawls. It's an adept climber if it encounters a shrub or tree. The flowers are various shades of pinks and violets, spurred and bloom year-round. The flowers give way to large, thick pods, three to six inches long. The leaves are large, relatively thick and come in threes. It is a perennial. The seeds can float at sea over long periods while maintaining viability. A nice beach in a tropical or subtropical locale makes the perfect place to germinate. 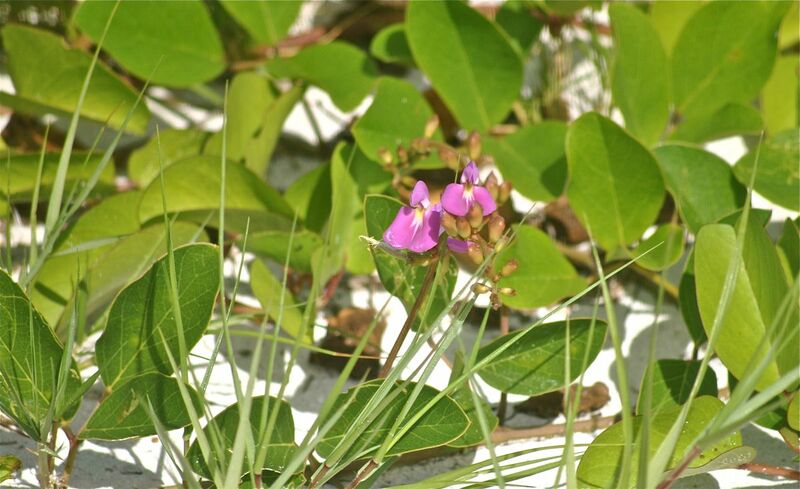 It's found in Florida from Volusia County southward on the Atlantic side, and as far north as the Big Bend area on the Gulf side.Beach bean grows in the higher parts of the beach. It plays a critical role in holding dunes together. It's often used in landscaping as a ground cover for that very reason. It grows in full sun, is both salt and drought toleraant and the flowers are beautiful. The only downside, from a landscaping point of view, is that it can be too aggressive. In various parts of the world, beach bean is both food and medicine. In the Marshall Islands, it's used as a bath to "cleanse" the uterus after birth, and to treat babies who have skin rashes. The leaves are eaten as a salad green. In Australia, some tribes used beach bean roots to treat aches and pains, arthritis, leprosy and colds. One tribe would pick younger beans, soak them in water, mash them and make cakes to be roasted and eaten. The process was said to take the "badness" out of the beans. Some research has shown the plant to have antibacterial properties. Beach bean hasbeen used as a hallucinogenic, but research doesn't back up claims that it has hallucinogenic properties. The leaves have been sold as "synthetic" marijuana. Beach bean is a member Fabaceae, the pea family. It's also known scientifically as C. maritima. Other common names include bay bean, easide jack-bean, coastal jack-bean and MacKenzie bean. 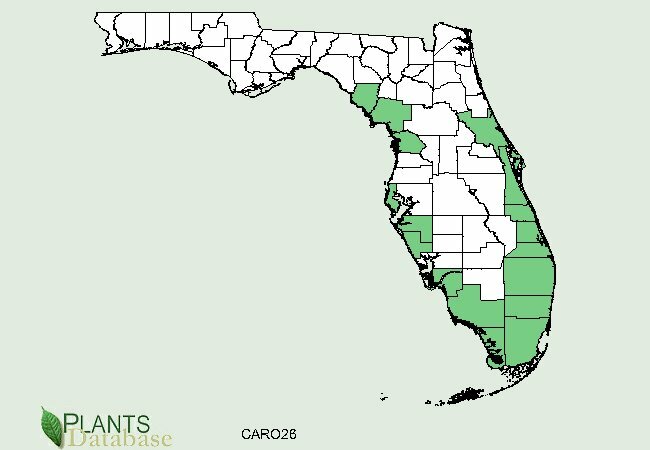 United State Department of Agriculture (USDA) distribution maps for beach bean.